The Department for Health & Social Care ran a call for evidence on prescribed activities for local authority public health earlier this year. Below is Collective Voice’s response which was submitted on 16 April 2018. We welcome the DHSC’s review of the principles underlying the prescribing of activities in relation to the public health functions of local authorities and the opportunity to review how they impact on local decision-making. Although the existing principles do not explicitly assign greater importance to mandated activities than non-mandated ones, being ostensibly more about universality and standardisation than prioritisation, local decision-makers and commissioners often interpret them as meaning that the Government values some services more highly than others. Thus, they exert significant influence on the allocation of resources. Local authority financial returns to DCLG provide evidence in support of this proposition with the annual percentage share of local authority planned expenditure on public health allocated to mandated activities now running about 15% greater than it was in 2013/14. Meanwhile, public sector expenditure on drug and alcohol services as a whole (including prisons) has fallen by about 25% since 2012/13, and local authority expenditure specifically has fallen 14% (£116m) since 2014/15. Drug and alcohol treatment is not a traditional priority for Directors of Public Health as it delivers benefits rather more to wider public policy concerns such as crime and social stability, than narrow public health outcomes. In light of this it was recognised that without some level of protection there was a real risk of unsustainable and rapid disinvestment, following the absorption of drug and alcohol treatment into the public health remit of local authorities. This risk was mitigated by strengthening the conditions for receipt of the Public Health Grant to signal the continued relevance of these services to a wide group of national and local stakeholders. As identified above, this did not stem the fall in aggregated funding, but may well have reduced the rate and scale of disinvestment. Arguably, neither the ring-fencing of public health funding nor the prescribing of drug and alcohol treatment within that ring-fence would be enough to protect funding for drug and alcohol treatment, given the competing pressures on public health budgets and the relatively low priority accorded to the issue within public health. Should the Government proceed with its intention to replace the ring-fenced public health grant and its associated conditions with business rates retention funding from April 2020, the last vestige of protection for services targeting a vulnerable marginalised and politically unpopular population will be removed. 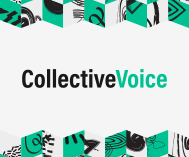 Collective Voice believes that if the Government does not act now to stem the flow of funding away from drug and alcohol treatment services there is a real risk of destabilising the sector in a way which will seriously compromise its ability to deliver the aspirations of the 2017 Drug Strategy to which the entire government, including the Health Secretary and the Home Secretary, is committed. The simplest way to protect services and the outcomes they deliver for service users and the wider community would be to include drug and alcohol treatment as a prescribed function. Excellent piece. So important to address these issues and I would say it mirrors what is happening in the domestic violence and abuse field. They are both marginalised groups, by not funding appropriately, not only does it limit the important work done, it says ‘these groups of people are not valued’. This models a negative attitude in society and impacts further the people who need such service.